North Carolina ranks in the top ten of national agricultural production. Within the state, my county is ranked 13th in agricultural income. Of our 55, 574 residents, 40.3% are white and 57.7% are black. Only 10.5% have earned a bachelor’s degree or higher, resulting in a median household income of $33,960 (making it one of the poorest in the state). My county housed one of the first schools for black church leaders in the South and includes the oldest town incorporated by African-Americans in the United States. Currently, our Representative serves as Chair of the Congressional Black Caucus. Recently-released reports show that 10 out of 14 schools in my country received a grade by the State of “D” or “F”. Despite our diverse agricultural heritage, my county also ranks as the second largest food desert in the nation. Although farmland is plentiful in my county, you could literally drive for miles on our rural highways without passing a grocery store or a farmer’s market. 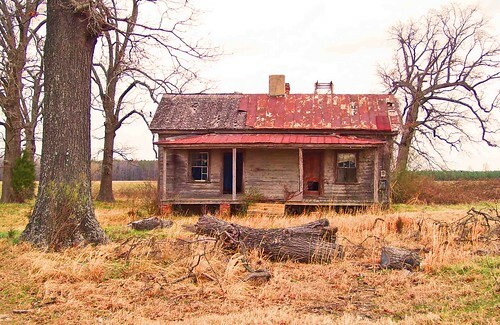 Discarded tobacco barns and dilapidated houses pepper the road…a reminder of the families that once existed. Rundown gas stations serve as the focal points for many of these small towns…snacks are more likely to consist of honey buns, Nabs, and a Pepsi Cola than of sweet potato chips produced from the harvest of the adjacent field. Isolated from many modern luxuries like high speed internet and cable television, it is easy to understand why many of these residents feel abandoned…and angry. We talk about the dangers of obesity but limit their access to fresh, local food. We tell them to plant a community garden, yet ignore the “modern slavery” mindset this invokes. We ask them to embrace diversity while many are still waiting for social justice. Poor white families are labeled “trash” and poor black families are labeled “thugs”. Our churches remain as segregated our politics, and our children wake up and go to sleep hungry…both for attention and for food. As a lifelong resident of this community, I have always been aware of the economic importance of agriculture, the poverty of my neighbors, and the strained race-relations of our ancestors. However, it was not until I joined our local Food Action Committee that I truly became aware of how these issues of the past have affected our current circumstances. For the first time in my life, I am now the minority race in many of these conversations. Instead of feeling outcast, however, I find myself in awe of these strong black men and women and their determination to make a positive change on the food choices and health of our community. While my voice may not change history, I do believe it is possible for our white and black residents to unite and to overcome the issues plaguing our area. Race might have once dictated our roles in agriculture, but, through collaboration, we can ensure that local, fresh, affordable food is available to all. This gave me goosebumps, Amy. Very powerful. It is nearly the same, here, in rural Iowa. Small towns only have gas stations. IF they have grocery stores, anything that spoils is more expensive. Prepackaged meals and snacks are the most affordable options for people.